Thank you once again you dropped by colorfullBliss! My blog has been around for quite some time but I haven’t quite updated it since just July of last year 2011 when I eventually turned it into my very own Beauty Blog. Although I am not a pro about anything Beauty, I started this blog more of the wanting to know and develop myself also. 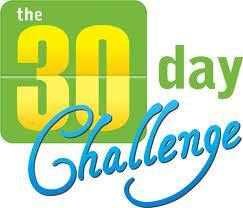 Below are the questions for the challenge…………..
Day1- When did you start putting on makeup? Day 2 – How did you learn to put on makep? Day 3 – Favorite Brand of Makeup? Day 4 – Do you like wearing foundation? Day 5 – Favorite Lip Product? Day 6 – False lashes? Day 7 – Fave Eyeshadow Color/Palette? Day 11 – Do you Wear Bronzer? Day 13 – Where do you Keep your Makeup? Day 15 – Do you wear Blush? Day 16 – Do you copy any of the celebs make up? Day 21 – Where do you buy make upat? Day 22 – What is your favorite toner? Day 23 – Fave eyeshadow palette and blush Palette? Day 24 – What type of eyeshadow do you prefer? Day 26 – Do you wear make up everyday? Day 28 – Favorite make up remover? Day 29 – Are you into liquid eyeliner? Day 30 – Post a picture of you with and without makeup. Also, credits goes out to eyah of eyahnism.info for the questions here on this challenge. Stay tuned for the next 30 days lovelies!! !